1. Get rid of any extra furniture- This means that any furniture that doesn’t serve a real, functional purpose needs to go. It can be sold, or just in storage, but it needs to get out of the house. You want as much of your space shown as you can. 2. Hide the toys- Before your Realtor takes any listing photos or shows your house, hide the toys! Unless there is a designated area used as a playroom, toys need to be hidden. Buyers want the spaces they are looking at to feel fresh, clean, and grown up. 3. 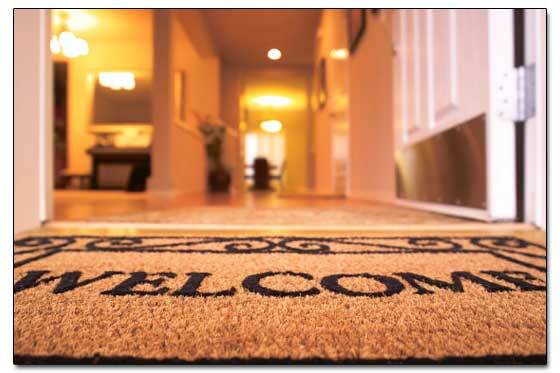 Open doors- Be sure to open all of your interior doors before showing your house. 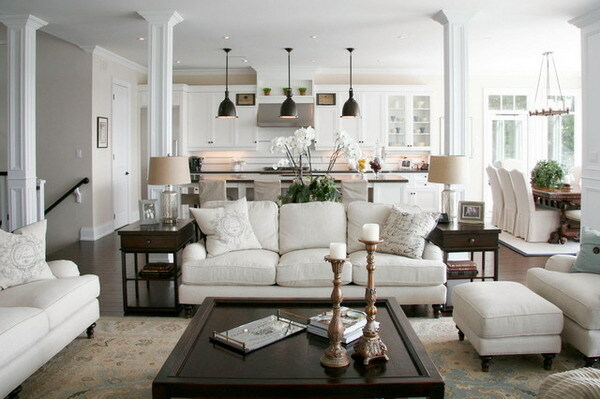 The home flows together nicely so that the potential buyers can understand the layout of the home more easily. When showing, you don’t want any big surprises. The potential buyers need to be able to easily walk from one room to the next. 4. Turn on lights- When showing your home, turn on all of the lights before you leave. This is especially the case if your house has light switches in strange places. The last thing you want the potential buyers to do, is search for your light switches. By having the lights on, it makes the home feel brighter and more cozy. 5. Good smells- The smell of your home will be one of the very first things that the potential buyers register in their brains when looking at your home. Be sure it is a good smell and not over powering. 6. Fix up the curb appeal- This doesn’t mean that your front yards needs an entire makeover, but make sure that it looks warm and inviting. Plant some flowers, fix your fence, and mow your lawn. It is the little things that really make a difference. 7. Clear off counter tops- Nobody wants to look at clutter. Put your bread and bananas in the cupboard before your house is shown. 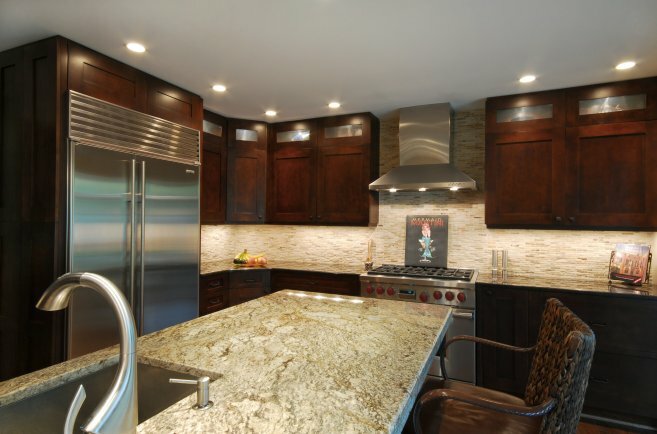 You want potential buyers to feel like there is plenty of counter space. While you are at it, take down the cutter off of your fridge to make your kitchen feel fresh and clean. 8. Clean doors- You don’t realize just how dirty your doors are until you start scrubbing them down! Clean the doorknobs to make sure they aren’t sticky and make sure there aren’t dirty fingerprints all over the door. It is a small detail that most people won’t notice unless they are dirty most likely. You don’t want potential buyers to notice dirty doors. 9. 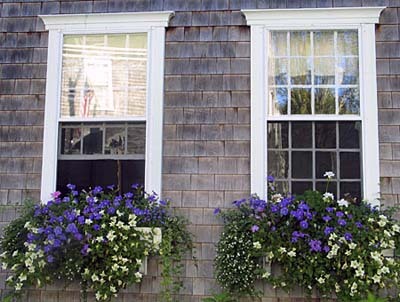 Clean your windows- There is so much dirt, dust, and who knows what else that gets stuck to windows. Clean them inside and out. It is amazing to see how much more light comes through when the windows are clean. It makes the entire room feel cleaner too. The Wilhite House was originally the home of Dr. P.A. Wilhite and his wife, Miss Cora Hillis. Anderson, SC has been the home of many innovated people throughout the years and Dr. Wilhite is no exception. Dr. Wilhite is renowned as the discoverer of the anesthesia ether. The use of ether as an anesthetic in the mid 19th century was heralded as one of the greatest advances in surgical technology to date. Before anesthetics, surgery was an incredibly painful and horrific experience. Surgeons had few options for dulling the intense pain. It wasn’t uncommon for people to commit suicide rather than go through the nightmare of surgery. 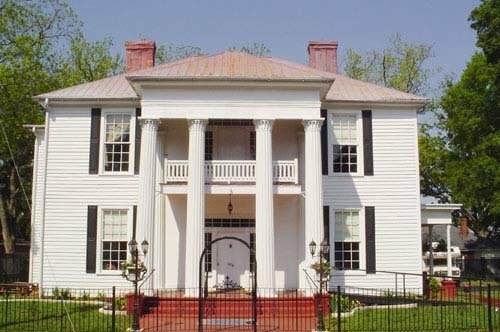 The Wilhite House, the 6,000 square foot mansion was built in 1858. The home is located 604 S. McDuffie St. Anderson, SC and is currently occupied by Mr. and Mrs. J.W. Monroe, the fifth owners of the home. Anderson is full of historical homes and buildings and we discover more of them in this blog. 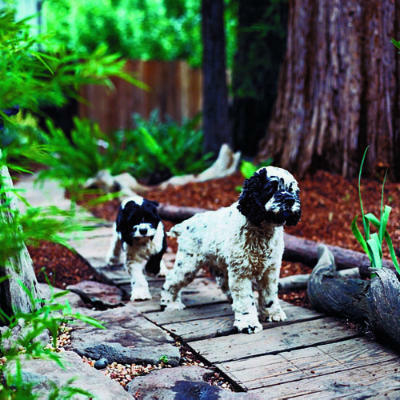 For many dogs, a home with a backyard is a place of safety and fun. Yet, for some dogs, the yard can be a source of danger as well. Conducting a safety check of your property is always a good idea. Fleas and ticks can be more than a nuisance, as both can carry various diseases. Be sure to use a flea and tick preventative for your dog; if you are not sure which to use, ask your veterinarian. You can help reduce the risk of fleas by not keeping piles of yard debris, as fleas tend to like warm, shady spots with moisture. If you have a pile of yard debris such as grass clippings and leaves for compost, be sure to enclose the pile so that your dog doesn’t choose it as a spot to lie down on. Ticks can carry disease such as Rocky Mountain Spotted Fever and Lyme disease. Ticks like longer grass as well as brush, such as woodsy undergrowth. Keeping the grass mowed to an appropriate height will help reduce the incidence of ticks. Herbicides and pesticides come in a wide variety of formulations. If you must apply them to your property, be sure to not exceed the recommended application rate. If using a liquid formulation, look for those that have a shorter drying time. If your dog tends to nibble on grass consider skipping herbicides and pesticides completely. Plants can be dangerous to your dog too. This is especially important if you are purchasing a home (or recently purchased a home) where a previous owner may have planted plants that you might not be familiar with. For example, daffodils are often a welcome sight in spring and by summer, they are usually trimmed down. By fall, there might not even be a clue that daffodils are present on the property. Yet if a dog decides to chow down on daffodils, the effects on the dog’s liver can be quite nasty. The ASPCA has a complete list of plants that are poisonous for your dog at their website ( www.aspca.org ). Swimming pools can be great fun but they also carry risks. Be sure that your dog knows how to swim and how to exit the pool; put up a see-through pool fence so you can see if your dog goes into the pool and avoid leaving your dog unsupervised when he can get to the pool. Dogs can and do drown. Be aware that ground temperatures near pools (particularly in-ground pools with cement or pavers as a surrounding feature) can become quite hot. Older dogs and short-nosed dogs can be at increased risk of heatstroke. Be sure to check on your dog frequently if his idea of a perfect time is to lie down close to the pool. Consider putting a raised dog bed in a shady spot close to the action so that your dog has a spot out of the sun and with airflow underneath him. If you have natural water or a built-in pond on your property, the same cautions apply. Of course, be sure to keep fresh water (not pool water!) available at all times. Every home and yard environment is unique. It would be impossible to identify every type of possible danger that could await a dog in a yard. Take the time to walk around your property, poking around the bushes and plants at the height your dog is, to be sure you identify any hidden dangers in your yard. The very first thing you need to do is remove the cover from your pool. If you have a safety cover, you will need an installation rod and hex key to remove the springs from the anchors and screw them down flush to the concrete. If you have a standard tarp cover with water bags, just remove the water bags and empty them to store for the winter. Make sure you drain the water off the cover and remove any large debris before taking off the cover. It will make your job a lot easier and it will prevent that stuff from getting into your pool water. Next, take the cover from one end of the pool and continually fold in half until it’s easy to remove the cover from the pool. Walk around your pool and find all the return lines. Remove the winter plugs from the return lines and step jets. Remove the ice compensator from the skimmer buckets. Depending on how you closed it, there should be a plastic bottle, sponge, or “gizmo” in your skimmer that prevents the ice from cracking it. Replace the baskets. At this time, make sure your pool is filled mid-way up the skimmer opening before starting your filter system. Before you start your filter system, make sure all of the drain plugs are properly installed. Your filter system should have one main drain plug and your pump may have two. Replace the pressure gauge on your filter as well as any other parts that belong. Check the o-ring on your pump lid to make sure it’s in good condition. Bend it between your fingers to check for cracks. If everything looks ok, just apply a Teflon-based o-ring lubricant before screwing the pump lid back on. Once everything is in place, start your filter system. Note: Your pump may have to be primed if no water is coming through. Turn off the pump and remove the lid. Fill the pump housing with water. You can use a hose or a giant bucket of pool water to do this. Replace the lid and your pump should prime itself. Once your pool is up and running, take a water sample to your nearest pool dealer to get a professional water analysis done. Make sure you pH and alkalinity are properly balanced. At this point, it’s a good idea to add the proper sanitizer to your water (i.e. chorine). Also, shocking your pool right away is a good idea too. Make sure you clean your winter cover before storing it away for the season. Check your local pool supply dealer for winter cover cleaner. Also, vacuum your pool using a manual vacuum at first to get all the heavy debris out (if there is any). After that, you can continue to use your automatic pool cleaner. 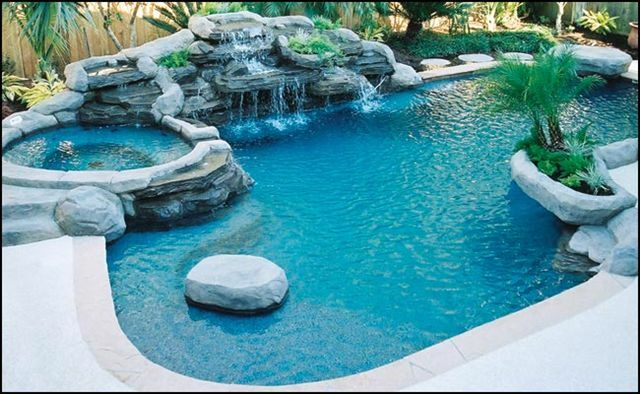 Opening up your pool is easy and takes no time at all. Ask a friend or neighbor to help and drink plenty of water, or beverage of choice, while working in the heat.